As you've probably already gathered from the gif above, the button slides out a panel that will let readers subscribe to any specific category or tag assigned to that story, all from one centralized location. Whether you want to subscribe to every post under the topic of Apps, Design, or News, or just to things tagged with "cats," the handy subscribe button has you covered. 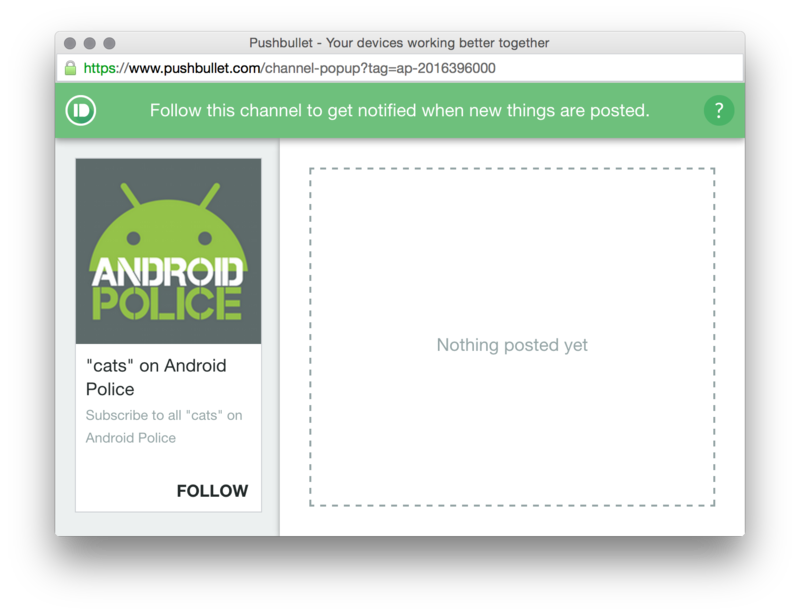 If Pushbullet isn't your thing, don't worry - we're still working on more tweaks to the site that will make it faster, easier to use, and more beautiful. Stay tuned.